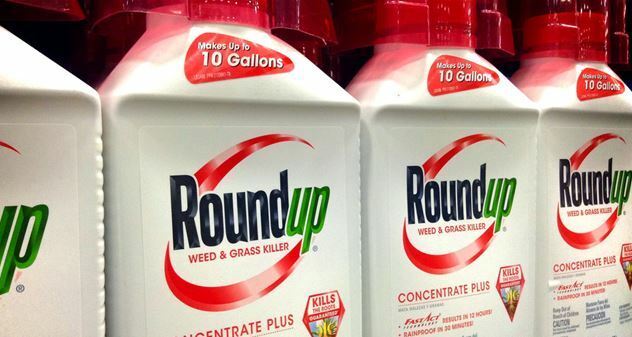 SAN FRANCISCO (CN) – The chair of an international cancer agency said Monday he didn’t tell his colleagues about data that Monsanto’s Roundup weed killer doesn’t cause cancer before the agency classified it as a carcinogen, in a California jury trial over whether the herbicide triggered a Bay Area man’s deadly lymphoma. National Cancer Institute epidemiologist Aaron Blair said he couldn’t discuss the data because they were not yet published at the time the World Health Organization’s semi-autonomous cancer agency convened a working group to evaluate the potential link between cancer and glyphosate, the active ingredient in Roundup. “It’s only prudent and appropriate to talk about studies that are finished,” because “things change,” Blair testified via video deposition played in San Francisco County Superior Court. Although U.S. and European regulators have concluded glyphosate is safe, the World Health Organization’s International Agency for Research on Cancer classified it in 2015 as a probable human carcinogen, eliciting a slew of lawsuits against Monsanto in the United States, including plaintiff DeWayne Johnson’s. Johnson, 46, sued Monsanto in 2016 after being diagnosed with a cutaneous form of non-Hodgkin lymphoma that caused cancerous lesions to form over most of his body. He says he developed symptoms after he was twice drenched in Roundup and regularly had it drift into his face while spraying schoolyards for his job with the school district in Benicia, a suburb of San Francisco. He also claims Monsanto has known for decades that Roundup is carcinogenic but didn’t disclose it for fear of disrupting its multi-billion dollar global business. Last week, Monsanto executive Daniel Goldstein testified that IARC “cherry-picked” the data it included in its evaluation of the scientific literature to arrive at a pre-determined conclusion that glyphosate is carcinogenic, a narrative Monsanto’s attorneys continued Monday by attempting to portray Blair as the force behind IARC’s alleged bias. They zeroed in on two large studies: the North American Pooled Project, which pooled all the case control data in North America assessing the link between pesticide exposure and cancer; and the 2018 update to an epidemiological study called the Agricultural Health Study (AHS), which surveyed 57,000 pesticide users between 1993 and 1997 about their use of 50 pesticides. Because 40 percent of participants had dropped out of the Agricultural Health Study by the second interview, researchers estimated their cancer outcomes using a statistical tool called imputation based on the answers of the 60 percent who remained. Johnson’s expert witnesses have testified that the use of imputation biased the results to show no association between glyphosate and non-Hodgkin lymphoma, and that the study shouldn’t be used to evaluate the link between the two. Monsanto, however, says the Agricultural Health Study is the most valuable epidemiological study evaluating a potential link because it is the largest and most comprehensive of such studies. On cross-examination, it emerged that IARC also did not evaluate 2013 data from the Agricultural Health Study, which had been published by the time its glyphosate working group convened in 2015. Blair conceded that had the data been included, the relative risk of developing non-Hodgkin lymphoma from using glyphosate would have been low enough to no longer be statistically significant. IARC’s evaluation, he said, found a weak but statistically significant association between the two. “The relative risk for the AHS study would have been lower,” said Blair, who was an author on the study. Earlier in the day, University of California, Davis professor Kassim Al-Khatib testified for Monsanto. The weed scientist denied having a financial stake in the chemicals industry, with less than 1 percent of his research funding coming from companies. Al-Khatib denied both allegations. He explained that he holds a patent for “controlling the development” of weeds that grow around sorghum, not for an herbicide. And although he could make a lot of money from the invention, he said, he didn’t believe it would be commercialized. Wisner, who is with Baum Hedlund Aristei Goldman, noted that Al-Khatib didn’t disclose in his expert report that he holds two patents for herbicides, an allegation Al-Khatib also rejected. “I don’t need to write about it because it is irrelevant to the case here,” he said, adding that university policy obligates researchers to patent new discoveries. “It has nothing to do with this,” he said. Also Monday, Judge Suzanne Ramos Bolanos denied Monsanto’s motion to end the lawsuit, ruling that Johnson’s lawyers had presented enough evidence against Monsanto regarding causation, design defect and failure to warn to justify sending the issues to the jury. “I suppose coupled together, that evidence just barely meets the threshold for evidence to go to the jury,” she said, referring to evidence of ghost writing by the company and a Monsanto employee’s concern that IARC’s classification would hurt sales revenues from school districts. Bolanos said she would rule on punitive damages at a later date. Glyphosate is the most widely used agrichemical in history. Monsanto introduced it in 1974, and its use exploded in 1996 after the company began selling “Roundup-ready” seeds engineered to resist the herbicide. More than 2.6 billion pounds of the chemical were spread on U.S. farmlands and yards between 1992 and 2012, according to the U.S. Geological Survey. Monsanto earns $1.9 billion a year from Roundup and $10.2 billion from “seeds and genomics,” most of that category being Roundup-ready seeds. In June, German pharmaceutical giant Bayer completed its $63 billion purchase of Monsanto after approval by U.S. and European regulators. Bayer told Reuters the same month that it plans to retire the Monsanto name. Testimony continues Tuesday, and trial is expected to last through August 10.